'Toilet: Ek Prem Katha', starring Akshay Kumar and Bhumi Pednekar, has been generating good buzz since commencing its shoot. As the makers prep up for the promotions, Akki has been sharing a number of posters with a tongue in cheek messages to go with it. On Thursday morning, the actor shares yet another poster on his social media handle saying, "Ek binati...lauta do lota party ko! TOILET TRAILER IN 3DAYS." While the lead actors gave these countdown poster a miss, director Shree Narayan Singh made sure to leave a lasting impact with his punch lines. Set in the backdrop of rural India, the poster features sari-clad women with lotas (water pots) accompanied by lanterns in their hands. The film will reportedly have PM Narendra Modi's Swacch Bharat Abhiyan and campaign against open defecation as its underlining subject. 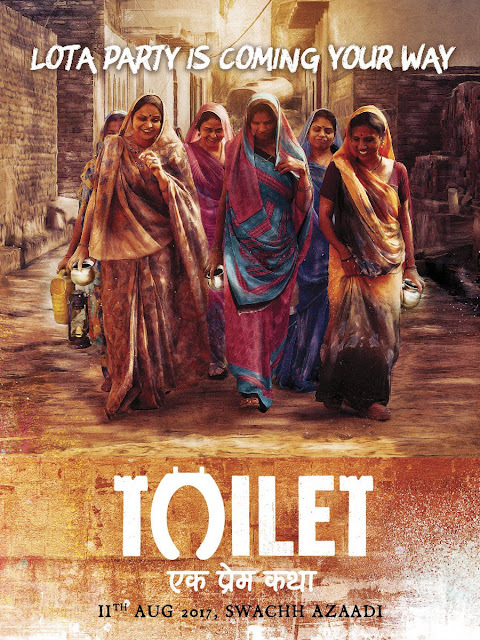 It is believed to highlight the importance of the pay-and-use toilet scheme and curbing the social evil of defecating in the open. Akshay also addressed the taboo around using a name like 'toilet' in his movie and said it is a real story and we should not run away from it. The film is all set to release on August 11.